Fans may not be OK with The Punisher’s seemingly imminent cancellation, but Jon Bernthal has already made peace with it. The actor made his debut as Frank Castle during Daredevil’s sophomore outing and was such a hit with viewers that Netflix quickly greenlit his own series. Due to the fact that the episodes only just became available, it may seem strange to already be discussing the possibility of The Punisher's cancellation. However, considering Netflix’s recent decisions regarding its Marvel properties, Frank Castle’s future is looking pretty bleak. When Iron Fist got the ax after just two seasons, fans weren't too surprised. That said, although it was the least popular Marvel Netflix entry, the general consensus was that the show’s second season was much improved, giving viewers hope that the series could continue. Still, Netflix canceling it wasn’t too much of a shock. However, the streaming titan then surprised fans by announcing the end of the criticality acclaimed Luke Cage just one week later. Then, despite rave reviews from fans and critics alike for its third season, it was revealed shortly thereafter that Daredevil had been canceled as well. Bernthal has gained some acceptance that his time as the Punisher may very well have come to an end, but Daredevil star Charlie Cox has expressed difficulty coping with the fact that he will no longer be playing Matt Murdock. Despite a fan campaign to save Daredevil, Netflix does not appear to be changing their minds on the matter, and all of this fuels speculation that Netflix’s partnership with Marvel is coming to an end. It won’t be long before Disney launches their own streaming service, a fact that many feel is responsible for Netflix’s corner of the MCU going dark. The Mouse House has already announced several shows centering on Marvel characters that will air exclusively on Disney Plus. And, though Netflix executives have previously stated that they remain in control of how long their Marvel shows continue, rumors persist that it was Marvel who pulled the plug. The Punisher was safe for a time, but now that season 2 is on the air, it seems likely that Netflix will announce its cancellation soon. Jessica Jones is still waiting on a third season, set to drop later this year, but her story will probably be wrapping up as well. While it is true that the end of Frank Castle’s journey has not yet been announced, it would seem a forgone conclusion at this point. When Iron Fist and Luke Cage were canceled, it seemed possible that it was to make way for a potential Heroes for Hire or Daughters of the Dragon series. Sadly, Daredevil getting the ax seems to only confirm what many fans were already dreading: Marvel’s street level heroes will no longer be suiting up for Netflix. 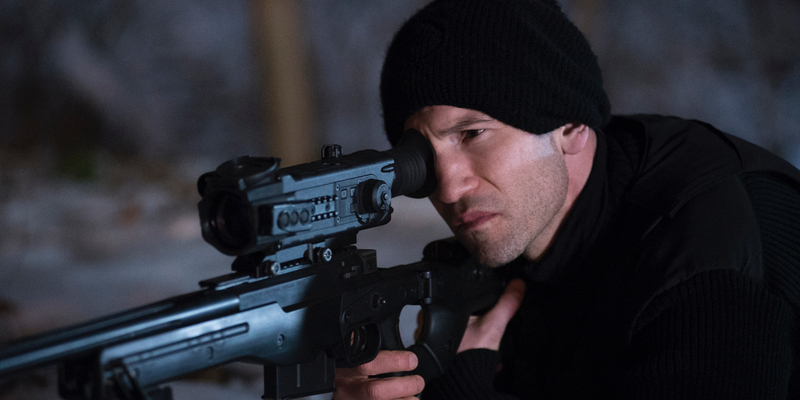 It’s admirable that Bernthal has already made peace with The Punisher’s possible cancellation, but most viewers have not. The Punisher season 2 is currently available on Netflix.